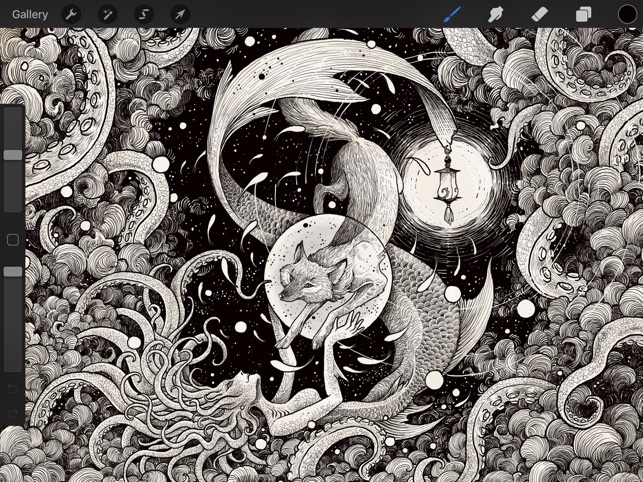 Apple Design Award winner and App Store Essential – Procreate is the most powerful sketching, painting and illustration app ever designed for a mobile device, built for creative professionals. 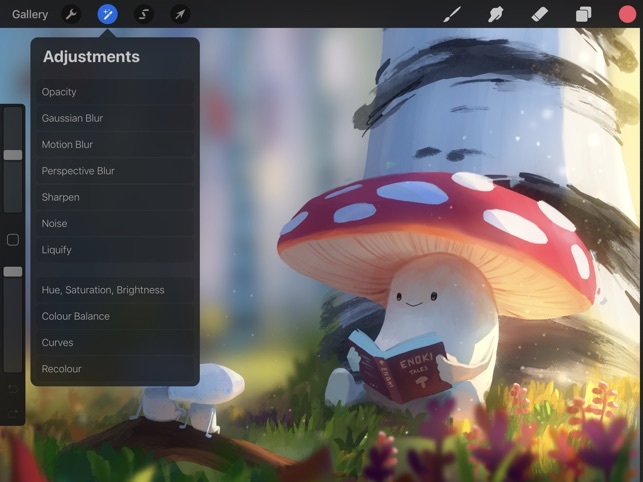 This complete artist’s toolbox helps you create beautiful sketches, inspiring paintings, and stunning illustrations anywhere you are. 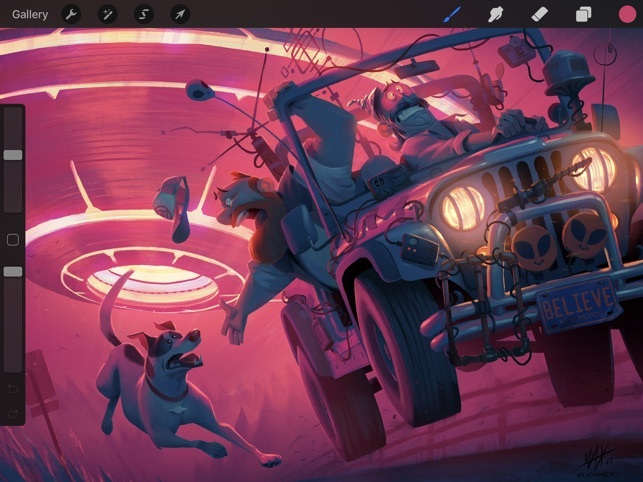 Procreate features ground-breaking canvas resolution, 136 incredible brushes, an advanced layer system, and is powered by Silica M: the fastest 64-bit painting engine on iOS. 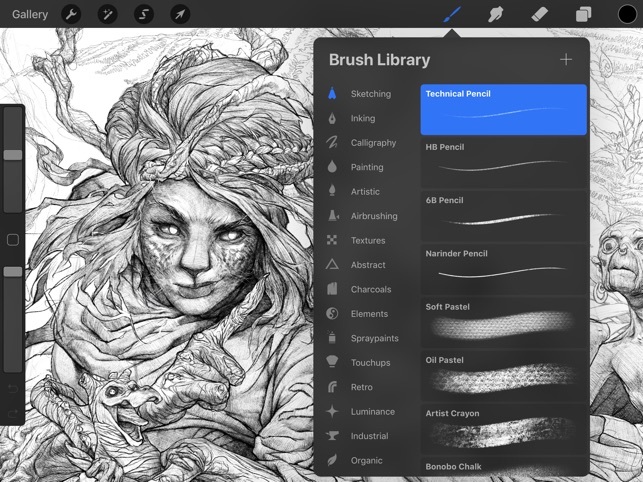 With a deep range of professional quality features, Procreate has all the power a creative needs. A picture may be worth a thousand words, but sometimes you need a thousand words. Thousands of you asked for one vital addition to Procreate. We heard you, and we're thrilled to present it as the centrepiece of 2019's first major update: Text! You'll never be lost for words again. 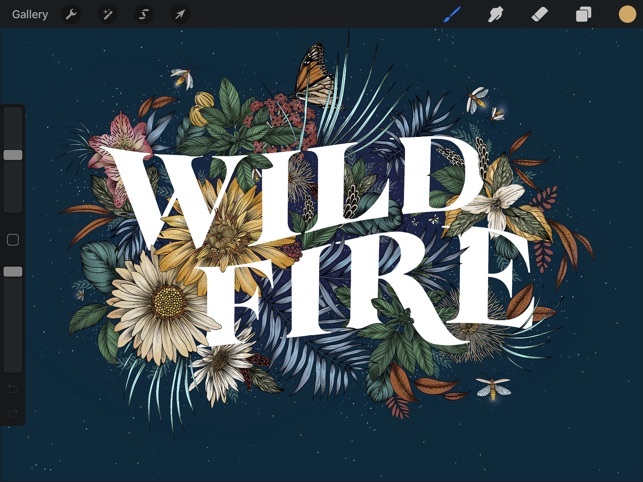 Add gorgeous editable typography to your illustration. Refine spacing and alignment with precision sliders, and rasterize the results for total control over the finish. The word is your oyster! Need to create something with a distinctive typeface? Easy. 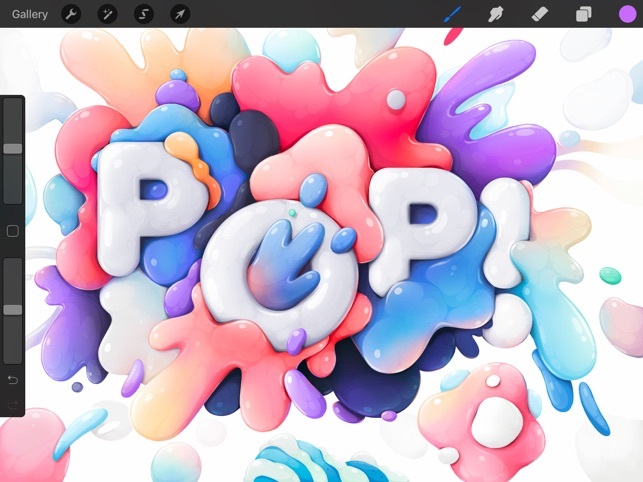 Just drag-and-drop your favorite fonts into Procreate and find your perfect type. 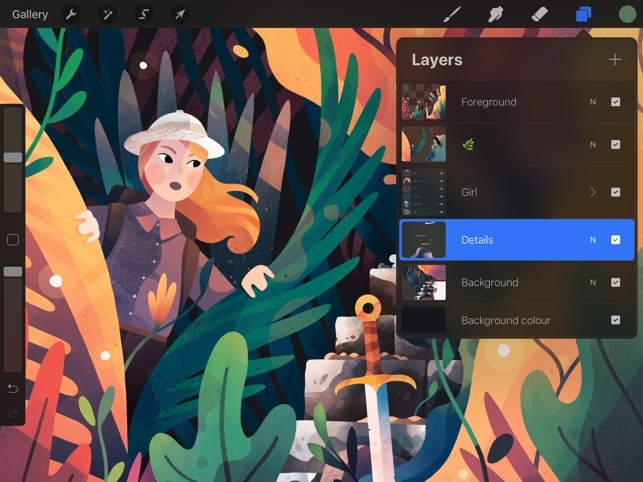 With new layer export options, you can share your layers as a folder full of PNG images, a multi-page PDF, or an animated GIF. 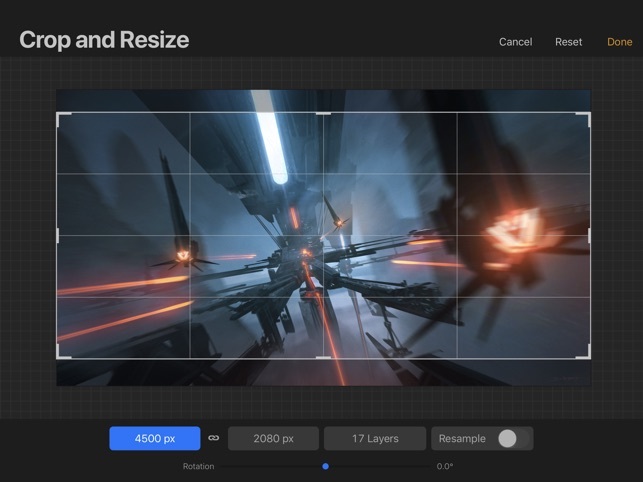 Or, use full artworks for each frame by selecting them from the Gallery. Now put your hands up... and view the contents of a single layer in isolation by holding the Visibility checkbox. All new pressure smoothing settings will help you create flawless strokes. So smooth under pressure they walk away from explosions in slow motion while asking for your number. Blend it like Beckham with Darker Color, Lighter Color, Vivid Light, Linear Light, Pin Light, Hard Mix and Divide. Smoother, better, faster, stronger: 4.3 comes with loads of fixes and polish. Daring souls can now turn off undo/redo gestures. We can't wait to spend hours Texting with you. And if you like it, you should put a review on it. Support just blew me off. Sent support an email saying procreate has become an essential professional tool, and asking if the big upcoming fall release will be disruptive to workflow and storage. Answer: If you don't like it, don't update. That's how you lose people, because you won't be the only good option for long. Lots of tools varying from drawing, inking and sketching. I thought long and hard but I cannot think of a con. Only thing I recommend is getting a cheap $12 stylus from a electronic store or staples which is more comfortable. Thank you pro create for this amazing app! I have been creating lots of great art work with it. Also, thank you for making it affordable! Virtually no stylus support or palm rejection. Requires iOS 12.0 or later. Compatible with iPad.